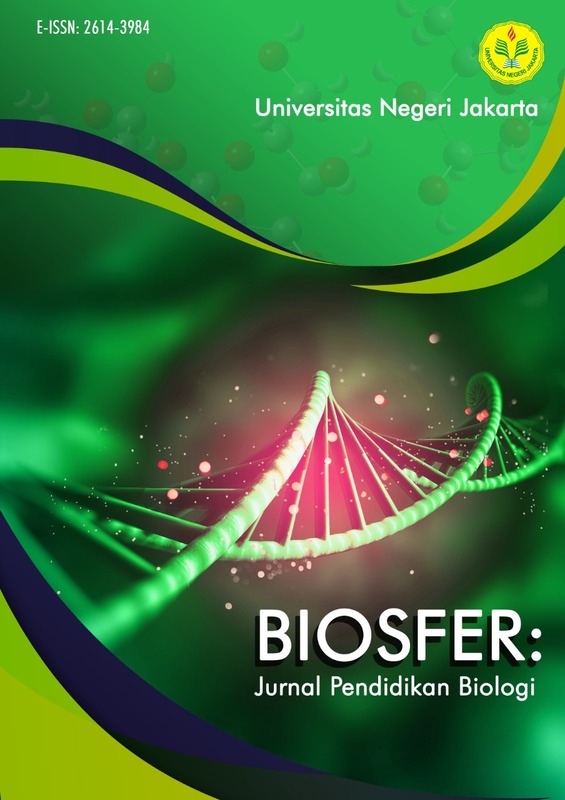 This research aimed to develop eco-friendly website in Biology learning which based on project activities for environmental pollution based on the National Curriculum. This Research and Development (R & D) using Borg and Gall strategy. The research data was gathered using quality evaluation eco-friendly website questionnaire, portfolio assessment sheet, pretest and posttest questions, student’s respond questionnaire, and interview sheet. Data analysis and discussion result has proved that (1) the eligibility of eco-friendly website based on the evaluation of the content expert, media expert and peer reviewer is excellent; based on the student’s evaluation, good. (2) The ability of student’s cognitive increased after having the Biology class activities in the eco-friendly project. Based on this research result, it is suggested to have further research to know the effectiveness of the eco-friendly website implementation toward the increase of student’s interests and learning motivation and other research variables. Moreover, eco-friendly website can be developed into a mobile application which can be accessed in any Android and iOS gadgets.